Provide a free home valuation to help you estimate your home's current worth. 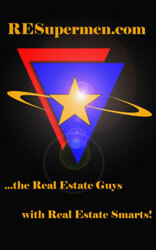 Review sales in the area to show you what is happening in San Antonio and surrounding areas. Aggressively Negotiate on your behalf to receive the most money for your property and home. Network with other neighborhood area real estate professionals to find the perfect buyer for your home. Faciliate the maximum number of showings of your home that work in conjunction with your schedule. Represent you in a manner that is both thorough and professional. This section is designed to assist San Antonio area home sellers. Selling your home can be a complex process. As a seasoned San Antonio area listing agent, I will help you with the entire home selling process. As your listing agent, I will help you get the best price for your home and help you sell it in the fastest possible time frame. Successfully Selling San Antonio real estate requires a comprehensive marketing plan. If you select me as your listing agent, I will devise a custom, unique marketing plan specifically focused on selling your home - at its top market value in a short possible time period. The RESupermen are known for their exceptional and effective marketing skills. Are you considering selling your home? I can help. Please fill out the simple Home Sellers Request Form below to receive a free analysis of your home. Please note, there is no obligation and your information will be kept strictly confidential. We hope to earn your business by our dedication, expertise and just plain hard work.